OK, I’m going to talk about it. In London recently I sat at Euston and generally watched the world go by. What was pretty amazing was the amount of people using broken phones. I saw three people with broken iPhones, and they were all cracks or busted glass frontages. Whether it be due to the insurance cost, the excess or the plain fact that they just don’t have any insurance at all, I’m not really sure. Either way, these people were quite happy to ignore the crack in their screen and carry on regardless. It gets worse though. If you do have mobile phone insurance you really need to check the excess. For an iPhone that can be between £75 and £100 per claim. The cheapest we found was £50 per claim, but that’s only if you’ve got yourself a good deal. Is that as bad as it gets? No, my friend, it’s not. If you don’t insure your device then many people trust some guy on a market stall, or some random person in a small local shop. The results can be hit and miss. Yes, there’s always Apple. You can take it back to them. They’ll quite happily take over £100 for an iPhone 6 screen replacement. 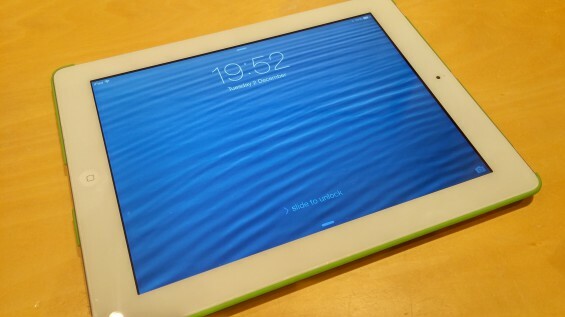 However, if you want to swap the screen on your iPad then you can pay up to £306 if you’ve got an iPad Air 2. I’m one of those who has lived with a slightly busted iPad for quite some time. You can see it below. It’s a 4th generation unit (the heavy one) and I’ve done the same as everyone else – ignored the crack (even as it’s grown) and worked around it. In recent months the crack found its way to the button, then the button started to fall apart. So when a company called iMend contacted me and suggested I take it to them I looked into it a bit. They’ll repair your iPhone, iPad or Samsung S3, S4 or S5. 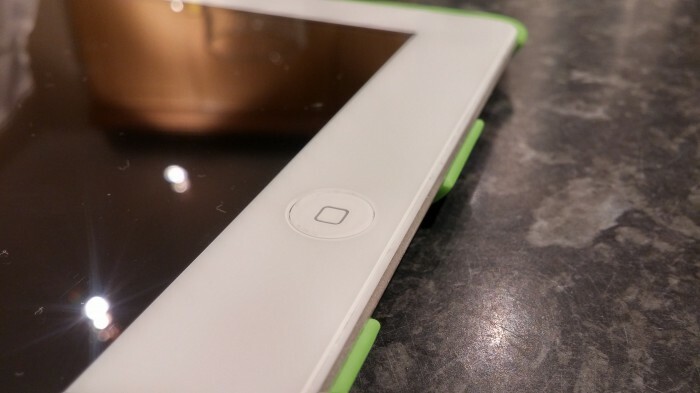 Costs vary depending on the device and what repair you need, but for my 4th gen iPad in white the front glass was £64.99. If your LCD has gone then it’s £74.99 and the button is £39.99. They offer other fixes such as a battery replacement, water damage and more. If you’re not quite sure what’s up with yours then you can either call them or do a Live Chat with a technician. The tricky bit, of course, is getting the device shipped to them. This is where things get good, because you can either send it to them or, for an extra £10 in most circumstances, one of their technicians will come and fix the thing right in front of you in around half an hour. There’s a 12 month “no fuss” warranty with every repair and they operate a “no fix, no fee” basis. This means that you only pay when you’re 100% happy. In most cases they can repair your device on the same day. In my case there wasn’t any need to call an engineer out or have it sent off. They’re actually based just around the corner from me in Burntwood, so I stuffed the iPad in my backpack and cycled up to see them. I spoke to John McNally, their Head of Repairs. He’s a totally honest and friendly chap and they operate from some rather swish and new offices with all the kit you need for repairing devices properly. This isn’t some grubby shop or market stall with dust and a small table, this is a big and open space with the tools and clean surfaces needed for doing the job properly. Gotta be honest here, this isn’t a job I could do. It’s careful, sometimes fiddly work where patience and a steady hand is key. A lot of phones really aren’t designed to be repaired. It’s not like they come with lift-off screens or quick-release covers. There’s glue, incredibly tiny screws and tiny parts. If you’re around the UK then, as I mentioned earlier, you can get an iMend technician to come to your home or place of work and do the repair. The techies are carefully selected by the company to ensure that all work is completed to the highest standard. Here’s how my iPad looked following the fix. The device, I have to say, looked just like new again. I was told to not use it for a couple of hours while the glue set, but there was simply no indication that the device had been opened, it was as if the whole thing had been replaced. I thought that the chip in the front screen of my iPad was bad, but in reality it’s nothing compared to some of the devices that come through the doors. Check out this totally busted up iPhone. At the end of the day there’s a “No Fix, No Fee” policy too, but I can safely say that my iPad is now looking a whole lot better than it did. So, if you’re looking for someone trustworthy to repair your device, check them out. A British start-up has launched the country’s first nationwide same-day callout service for fixing broken smartphones. 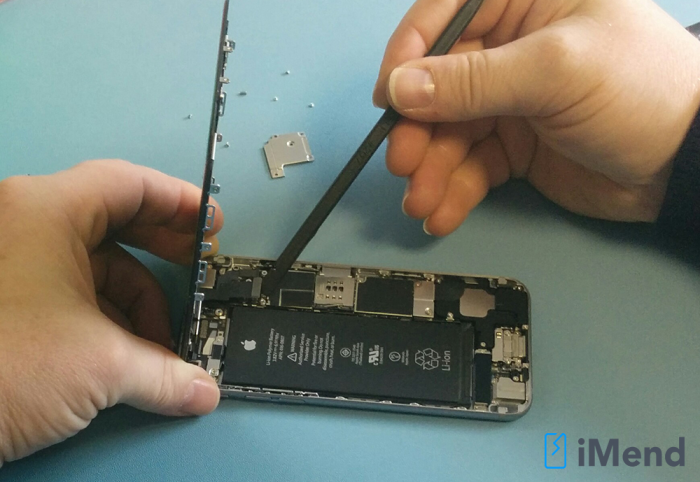 iMend.com is the first company to provide a UK-wide mobile repair callout service, and specialises in fixing iPhones, iPads and Samsung mobiles. 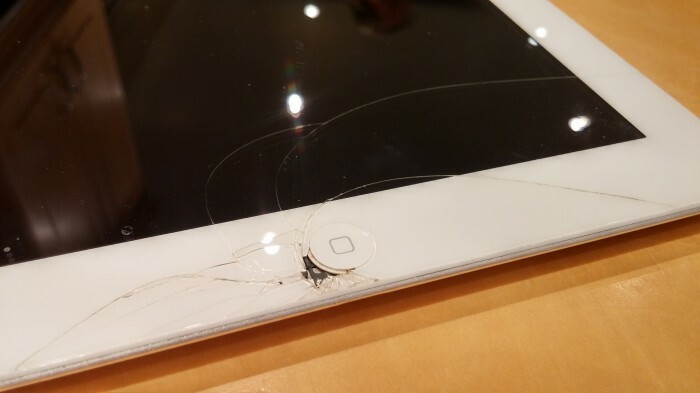 Cracked screens top the list of faults repair technicians are called out to, with broken buttons, water damage and many other issues also dealt with. 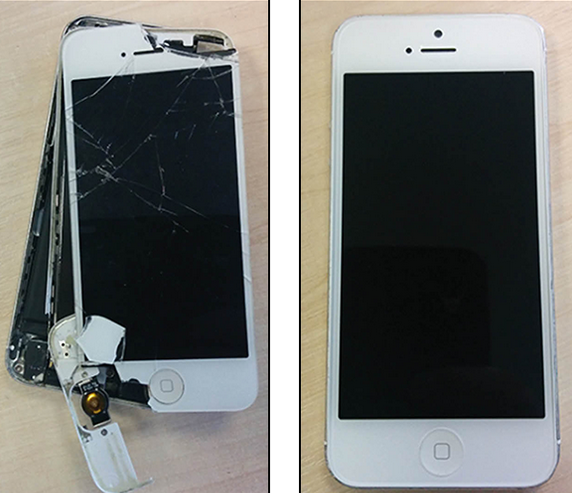 With the cost of devices increasing and manufacturer repairs often expensive or unavailable, customers often turn to phone repair shops, and may end up having to leave their phone behind to be mended.